Opening Hours: Half an hour before the first session of each day. With 6 cinemas all featuring Dolby Surround Sound, stadium seating and state-of-the-art projection & a luxury Gold Class Cinema, your cinema experience is one where you will feel like a star. Bendigo Cinemas have the latest state-of-the-art 3D technology from REAL D.
The REAL D 3D system delivers a high quality 3D movie experience to the viewer and is the leading stereoscopic projection system for digital cinema. It works by presenting viewers with a slightly separated set of images for the left and right eye in such quick succession that our brain perceives the images as appearing at the same time and having a depth of field (with the RealD system you are actually being shown 144 images every second!). The glasses ensure that the right eye only sees the images intended for the right eye and the same for the left eye. 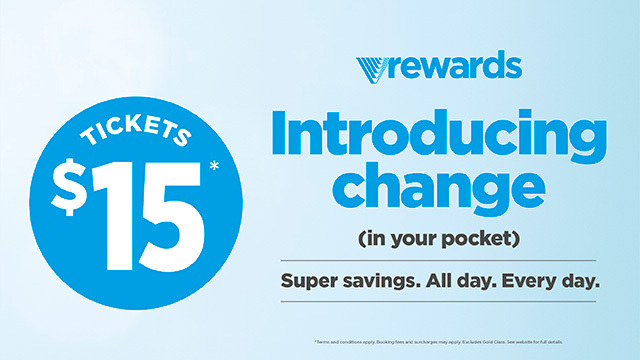 The RealD glasses can be purchased for just $1.00 per pair and are yours to keep after the screening. They can be reused again and again. They are comfortable plastic glasses that are designed to fit easily on all adults. They will also fit over the top of most prescription glasses. 3D movies have a surcharge of $3.00. 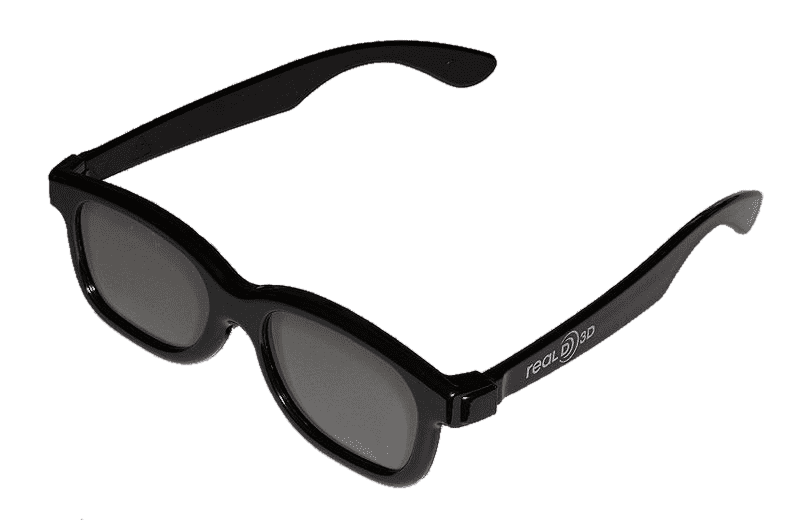 Reusable 3D glasses are available for $1.00. The Bendigo Cinemas Games Arcade has a great range of classic and contemporary video games and ticket and prize redemption games that appeal to all ages. We provide a safe fun family environment for adults and children to become absorbed in a world of interactive entertainment. Bendigo Cinemas Games Arcade is the ultimate in Games, Fun and Prizes. There is wheelchair access to all cinemas but in some theatres seating is at the very front. Please feel free to come in and site the cinemas at any time to decide if a particular cinema is suitable for your circumstances. 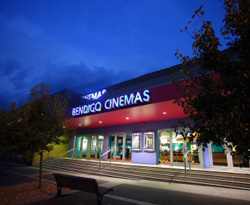 Bendigo Cinemas are proud to provide the Fidelio Audio Description System for vision impaired cinema patrons. The Fidelio system is a wireless audio system that delivers descriptive narration for the vision impaired cinema patron and amplified sound for the hearing impaired cinema patron. The patron is provided with a headset that receives the audio narration via a wireless signal. For further information on accessible cinema please visit the Media Access Australia Website or Phone (02) 9212 6242. Session times which have the audio description capabilities will be listed as (AD) on the session times menu. If you wish to make a booking enquiry please Phone (03) 54408 001. Bendigo Cinemas are proud to provide the CaptiView Closed Caption Viewing System for hearing impaired cinema patrons. The CaptiView system consists of a small LED display on a bendable support arm that fits into the theatre seat cup holder. The easy-to-read screen is equipped with a high contrast display that comes with a privacy visor so it can be positioned directly in front of the movie patron with minimal impact or distraction to neighbouring patrons. The system can receive captions from any seat within the auditorium. Session times which have the closed caption capabilities will be listed as (CC) on the session times menu. If you wish to make a booking enquiry please Phone (03) 54408 001.